Keanu Reeves has played a number of iconic roles. He was Ted in "Bill and Ted's Excellent Adventure", Johnny Utah in "Point Break", Jack in "Speed", and Neo in "The Matrix" to name just a few. He is notoriously private, more than a little bit shy, the subject of a 4Chan meme (Sad Keanu), and a notable philanthropist. Through his generosity, Keanu has taught us all to have a "most excellent" life. His generosity has become so legendary that it reads like an urban legend. Most movie stars don't donate huge portions of their salaries to crew members because he thought they deserved the money more. As you're about to discover, it turns out Keanu Reeves is not your typical movie star. Keanu Reeves was born in 1964 in Beirut, Lebanon to an English mother and Hawaiian-American father. Reeves's mother was working in Beirut when she met his father, a geologist who earned his GED while in prison in Hawaii for selling heroin at Hilo International Airport. 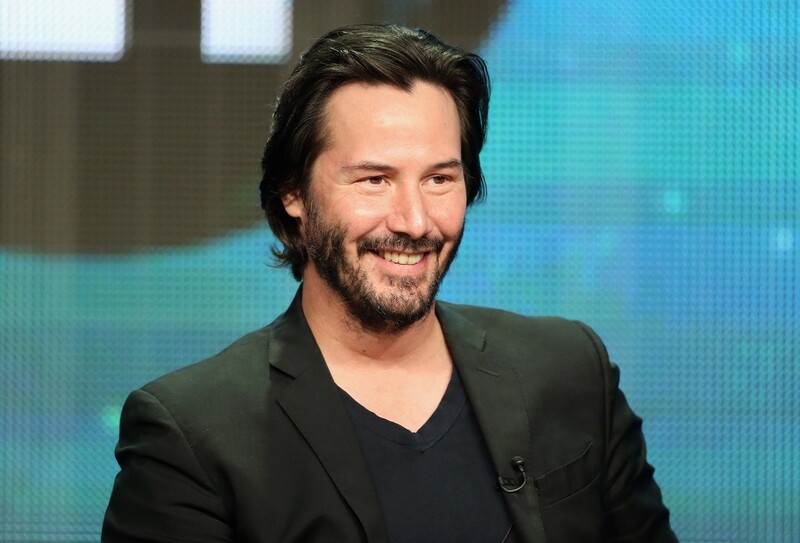 Reeves's father abandoned his family when Keanu was just three years old. Keanu spent his childhood moving around the world as his costume designer mother worked and married again and again. Stability wasn't all that present in Reeves's life as a child and teenager. Reeves lived in Sydney, Australia and New York City for awhile before his family settled in Toronto. He attended four different high schools where he excelled as a hockey player. Reeves had dreams of playing professional hockey. He dropped out of high school before he graduated. A struggle with dyslexia made academics difficult and by then the call of the acting bug had already hit him. Keanu's first major role was in the 1986 Rob Lowe ice hockey film "Youngblood" in which he played a Québécois goalie. He soon moved to Los Angeles and scored a break through role in 1986's "River's Edge". After that, Reeves worked steadily. There was "Bill and Ted's Excellent Adventure" and the sequel. There was "Point Break" – for which he won MTV's "Most Desirable Male" award in 1992, "My Own Private Idaho", "Speed", "A Walk in the Clouds", "The Devil's Advocate", "The Replacements", and then the pinnacle of his career so far… "The Matrix" franchise. Keanu has proven himself to be an extremely bankable movie star. On screen, Reeves is inherently likeable. He is the affable guy next door, your brother, your high school boyfriend. He is accessible. 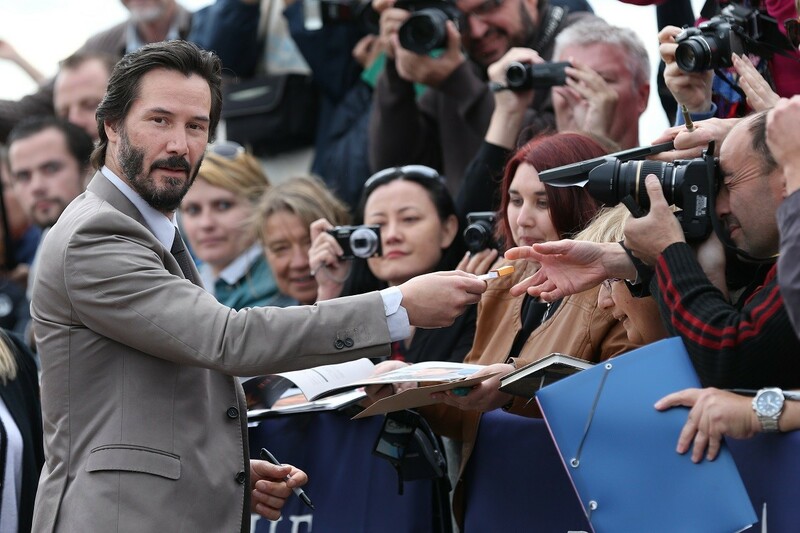 And although he has always lived a quiet life outside of the Hollywood scene and spotlights, Keanu has proven he is a man with an incredibly generous spirit. Over the years Keanu has given millions of dollars to charity. Reeves has supported PETA, the SickKids Foundation, Stand Up To Cancer, among others. His sister has leukemia, and he has spent more than $5 million dollars to help her in her fight against the disease. Reeves also reportedly has set up a private cancer foundation to help a handful of children's hospitals and cancer research. Reeves does not attach his name to any his gifts. He prefers to provide money where it is needed without taking any credit. Giving money to others is simply a part of this movie star's beliefs and way of life. And lest you think that all of this charitable giving is the act of a wealthy man who needs some tax shelter, consider how Reeves acted with a homeless man one time. He once spent several hours sitting on a sidewalk, sharing his food and talking with one of the many homeless people in Los Angeles. There was no pontificating and no star struck babbling. They were simply two men taking about life over lunch. This is not your typical movie star folks. But the real generosity of spirit that Keanu possesses became clear when he was negotiating his back-end deal for the two "Matrix" sequels. For the first film in the trilogy, Reeves made $10 million up front, which, when combined with his back-end deal, upped his salary to $35 million. Amazingly, when it came time to negotiate his back-end profit sharing deal for the second and third "Matrix" films, Keanu insisted on handing over a significant portion of his back-end points to the films' special effects and costume design teams. Reeves felt (and rightly so) that the men and women who created the effects and costumes for the franchise were the true heroes of the movie. So how'd this work out for the FX and costume teams? The second and third Matrix movies earned more than $1.2 billion at the worldwide box office. When it was all said and done, Keanu reportedly ended up giving away an estimated $75 million dollars. Each member of these teams received $1 million dollars per person, instantly making them all millionaires. But Keanu didn't stop at just the special effects and costume teams. He also gave the entire stunt team on the "Matrix" sequels Harley Davidson motorcycles. "A family friend builds movie sets, doesn't design, is one of the poor dudes that just builds. Anyways he worked on the set for the Matrix and Keanu heard about family trouble he was having and gave him a $20,000 Christmas bonus to help him out. He also was one of the only people on the set that genuinely wanted to know people's names, would say hello and mean it, and would talk to people as they were his peers and not below him just because they were practically making nothing to build a set. I've never heard anyone say Keanu is douche, seems like the nicest person in Hollywood from a second hand experience." Reeves was quoted in a 2003 interview in Hello! Magazine as saying "Money is the last thing I think about." For many actors, this would seem like a PR move. But not with Keanu. His generosity on set and willingness to do whatever it takes to make the best film goes way back. When he was cast in 1997's "The Devil's Advocate" Keanu took a several million dollar pay cut to make funds available to get Al Pacino's deal done. He did the same thing for 2000's "The Replacement" in order to get Gene Hackman on board. When Keanu says money is the last thing he thinks about, he is not lying. He turned down an $11 million role in the "Speed" sequel as well as an opportunity to star alongside Robert DeNiro and Al Pacino in 1995's Heat (a role that went to Val Kilmer) in order to act in a small production of Shakespeare's "Hamlet" at the small Manitoba Theatre Centre in Winnipeg, Canada. Keanu Reeves is a man with a truly generous spirit. Whether it is giving millions to charity in support of a cause, funding his sister's expensive fight against an insidious disease, spending time with those less fortunate with no agenda of his own other than to experience what that person has to offer, or ensuring that the less well paid members of a film crew are fairly compensated—Reeves is a man who always manages to be way more interesting than any of the roles he has played. There are probably plenty of things you didn't know about Keanu Reeves – here are seven facts you can use to impress your friends.